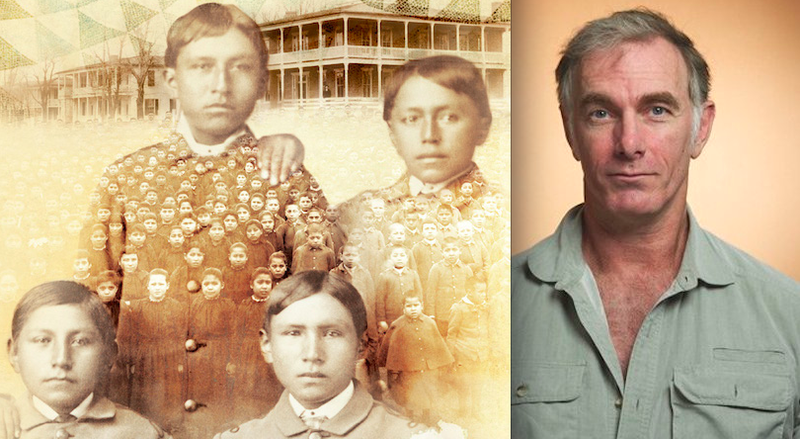 John Sayles Directing New Film, "To Save the Man"
John Sayles is one of my favorite directors. My husband, Roger, referred to him in a 2008 interview as "the living legend of independent film." He has garnered Oscar nominations for two of his original screenplays, "Passion Fish" and "Lone Star," and has directed several landmark films including "Lianna," "Matewan," "Eight Men Out" and "The Secret of Roan Inish" (which we presented at Ebertfest)." He was awarded a MacArthur Fellowship and used part of the award to fund "The Brother From Another Planet." And his movie, "Return of the Seacaucus Seven" was selected for preservation by the National Film Registry at the Library of Congress. Now the King of Sundance himself, Robert Redford, has signed on as an executive producer for Sayles's latest film, "To Save the Man," a fact-based drama set at the Carlisle Indian Industrial School circa 1890. He believes the piece of history unearthed by this movie will be as important to Native Americans as Holocaust films have been to Jewish audiences. A longtime collaborator of Sayles, Chris Cooper (Oscar-winner for "Adaptation"), is set to play Captain Richard Pratt, the school's founder and superintendent, whose controversial motto was, "Kill the Indian to save the man." The film centers on an Ojibwe student, Antoine LaMere, who is brought to the school in order to be taught "how to be White" while rejecting his own culture. The Army massacre at Wounded Knee as well as the spiritual movement of the Ghost Dance on western reservations play key roles in the plot. The young ensemble of actors will be comprised of non­professional Native American performers from tribes across the country. Shooting is scheduled to begin next summer in Port Townsend, Washington, with the former military base Fort Worden standing in for the Carlisle Indian School. Sayles is currently raising money for the project along with his producers Maggie Renzi and Alejandro Springall. For more information on the project, visit the film's Facebook page as well as the official blog of John Sayles.